NOTE: Knife is NOT included. Custom leather Mini Knife sheath designed for the Swiss Army Classic 2 1/4" knife with a hand tooled border design, recessed hand stitching, and hand rubbed finished edges in a choice of leather colors. A color chart can be found by scrolling through the photo's. Tight friction fit keeps knife secure. Premium carving leather construction that will last for years. Fits a Classic Swiss Army Knife or tool that measures: 2 1/4" L X 3/4" w X 3/8" thick. 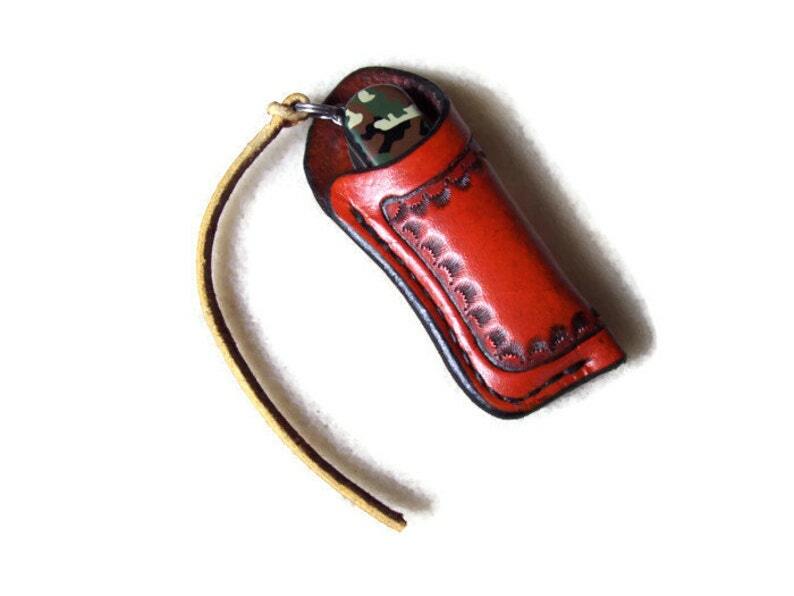 This little custom sheath is made as ordered and ships in approx 1-2 weeks. Built to last and made in the USA!